Are you looking for family-friendly things to do in Somerset? Look no further. Chew Valley Lake is your go-to destination. There are plenty of ways to entertain your children in Chew Valley Lake and it’s a great place for adults to enjoy too. The Webbington Hotel, near Chew Valley is only a stones throw from the lake and the perfect place to stay whilst on your family travels. Chew Valley Lake is a large man-made reservoir nestling in the foothills of the Mendips and can be enjoyed by the whole family. Take a stroll around the lake and enjoy the stunning views across the reservoir. It’s the perfect place to take in the fresh air and burn some energy. Chew Valley offers stunning photo opportunities. You can capture those special moments and take family photographs with stunning backdrops of the Lake. There is a playground by the lake to keep your children entertained. There is also lots of wildlife to watch and the children can have fun feeding the ducks. Enjoy lunch in the family-friendly café by the lake. Or treat yourself to some delicious cream tea and cake. There is a children’s menu available and there are highchairs for the little ones. Colouring pads are also offered to entertain your children at the table. Sadly, they don’t allow dogs in the café. However, there is plenty of space for furry-friends on the outside terrace and water bowls are supplied. Takeaway options available. A Fish & Chip shop is located next to the café if you would prefer to eat outside with your family and enjoy a chip butty whilst admiring the lakeside views. 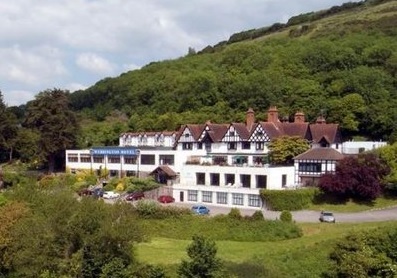 Looking for the best hotel deals near Chew Valley, why not consider staying with us? The Webbington Hotel is near Chew Valley, so you can explore lake and surrounding countryside without those dreaded long car journeys. No need to worry about overpriced breaks with your family. The Webbington Hotel has excellent rates and is great value for money. Small dogs are also welcome at the hotel, so you can bring the whole family along. Our hotel near Chew Valley also offers leisure facilities. So, if your children are still full of energy after your trip to Chew Valley, you could return to the hotel and have a dip in the pool, which overlooks the Somerset countryside. For something a little different, visit Chew Valley with your family. Enjoy the Somerset countryside and make memories with your loved ones. Book your stay online here, email us or call us on 01934 750100.